Last December, we dropped by at SM Aura for some errands. We were looking for a quiet place to eat and we finally found the "quiet" place at Yabu :) we were quite surprised to see only a couple of tables occupied. 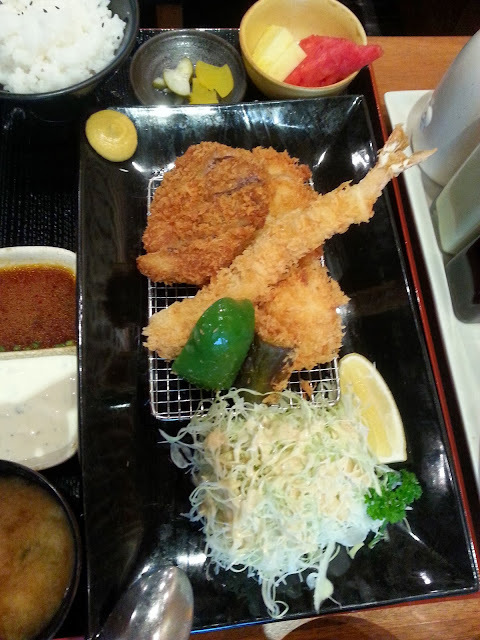 Because we're still on Saboten addiction, we want to try Yabu for comparison. 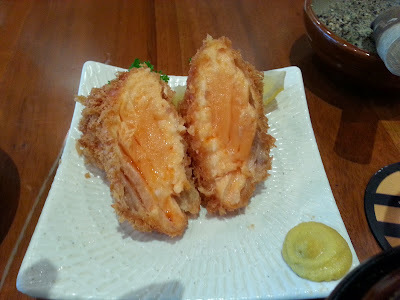 3/4 inch cutlet made from rosu or pork with a trimming of fat. 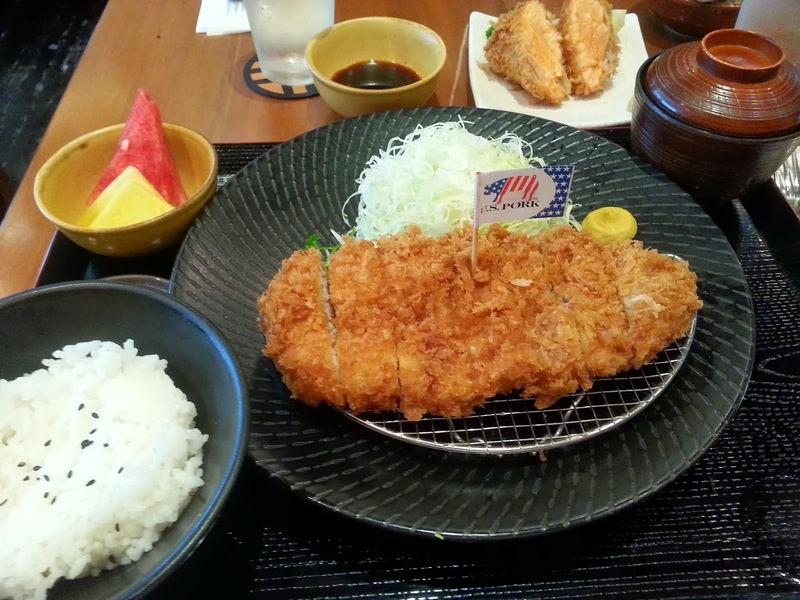 Kurobuta, also known as the Black Berkshire pig, is the world's finest pork. It is called the kobe beef of pork, due to its rich marbling, softness, and flavor. - Kurobuta Pork Set - when they said its the finest pork syempre I expected more, ok lang. Nothing special. Baka wrong timing lang kami. - Jumbo Prawn Set - Mr. Panda said its ok.
- there were still some cabbage on my plate and i asked the server to include it sa take-out bag. Server said she'll replace it with fresher cabbage pa. Pag-uwi namin, walang cabbage. Nyek.